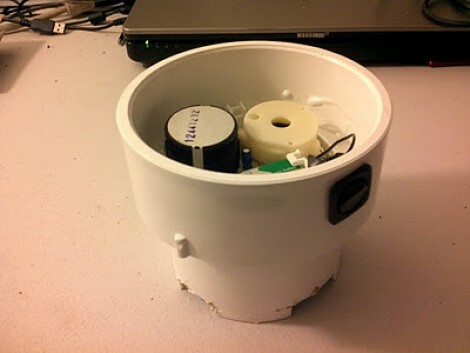 Here’s a little smoke detector hack which [Ivan] has been working on. He wanted to extend the functionality of a standard detector and we’re happy to see that he’s doing it with as little alteration to the original equipment as possible (this is a life-saving device after all). He sent all the build images for the project to our tips line. You’ll find the assembly photos and schematic in the gallery after the break. As you can see his entry point is the piezo element which generates the shrill sound when smoke as been detected. He connected this to his own hardware using an optoisolator. This allows him to monitor the state of the smoke alarm on his server. It then takes over, providing a webpage that display’s the board’s temperature sensor value and streams video from an infrared camera. Of course this is of limited value. We’ve always made sure that our home was equipped with smoke detectors but the only time they’ve ever gone off was from normal cooking smoke or after an extremely steamy shower. But still, it’s a fun project to learn from and we’ve actually got several of the older 9V battery type of detectors sitting in our junk bin.